Paintball is the Fastest growing Adventure Sport as well as Extreme Sport in the world. This fast paced, adrenalin pumping Adventure Sport is played in over 50 countries, and is a rage amongst young men & women across the world. A character-building sport, players learn the importance of Teamwork and gain Self-Confidence while developing Leadership abilities. But, above all, Paintball is fun! Once the adrenaline starts pumping you can't help but love the thrill of the game! 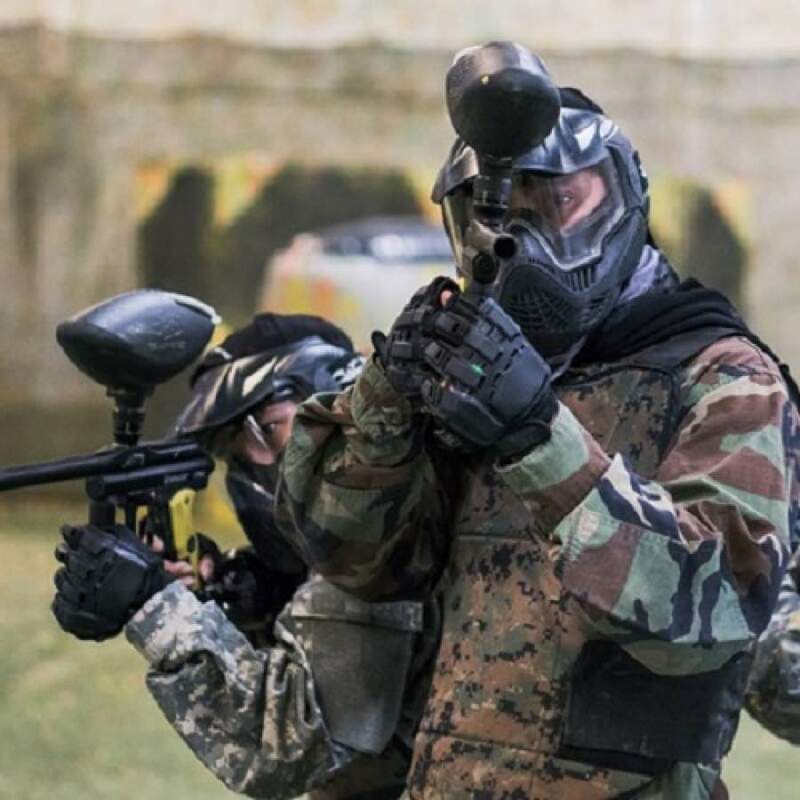 Paintball is hailed as one of the most effective forms of stress release and is used extensively in the USA, Europe by Corporate Organization as an effective Training tool to boost Teamwork and improve Communication within the team and control stress. It is considered better than all simulation based training programs as it offers the Real Thing!! 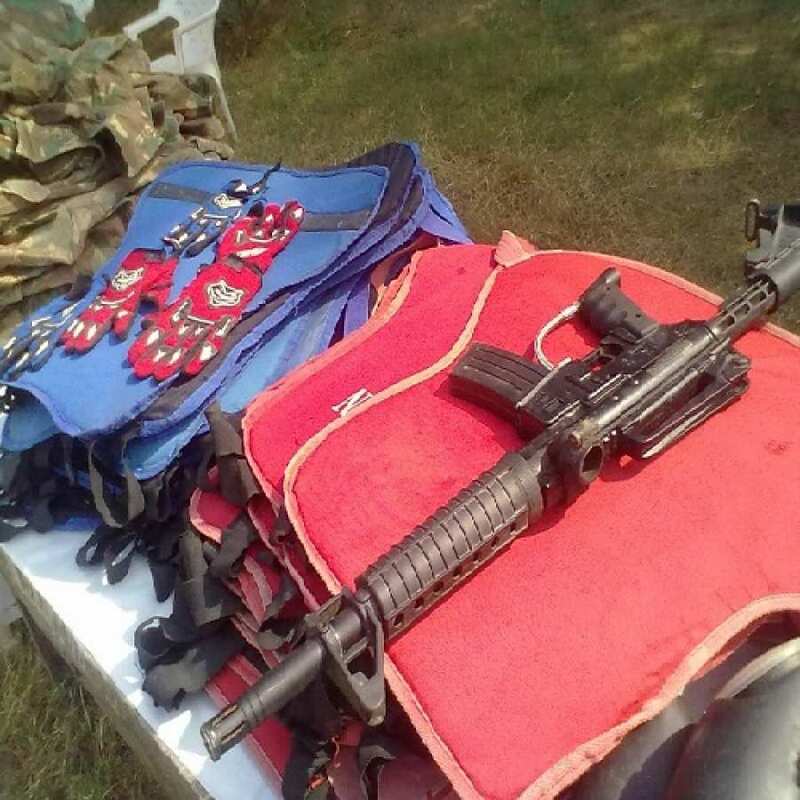 In order to offer largest range of paintball games and objectives, our zone at CAMPWILD is custom designed by paintball experts. 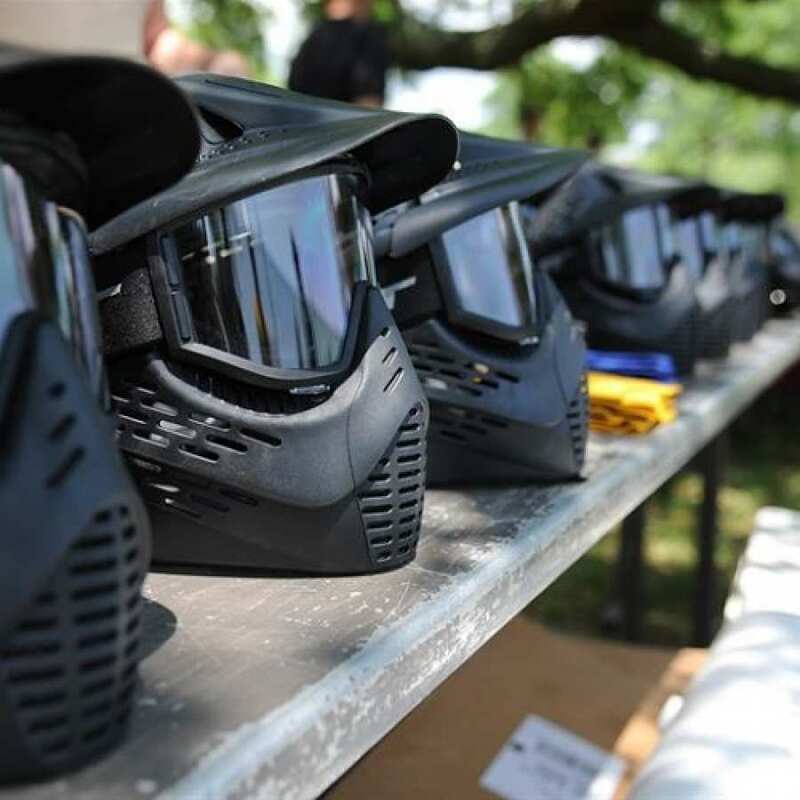 With open-plan fields, dense woodlands and many specially designed structures and buildings; we provide some of the most varied and challenging paintball games and terrains available. You'll need to develop a wide range of skills and tactics to meet the challenges faced in the paintball games. Shoot your enemies as you run across the field and achieve your goal. Various formats of this game are available with increasing difficulty levels – Capture the Flag, Centre Flag, Total Elimination. Get ready for 1 hour of Jam-Packed action!! Teams can play 8-10 games (of 7 minutes each) in 1 hour. Players get extra lives, after getting shot, they step off the field for 1 minute & join the game again. 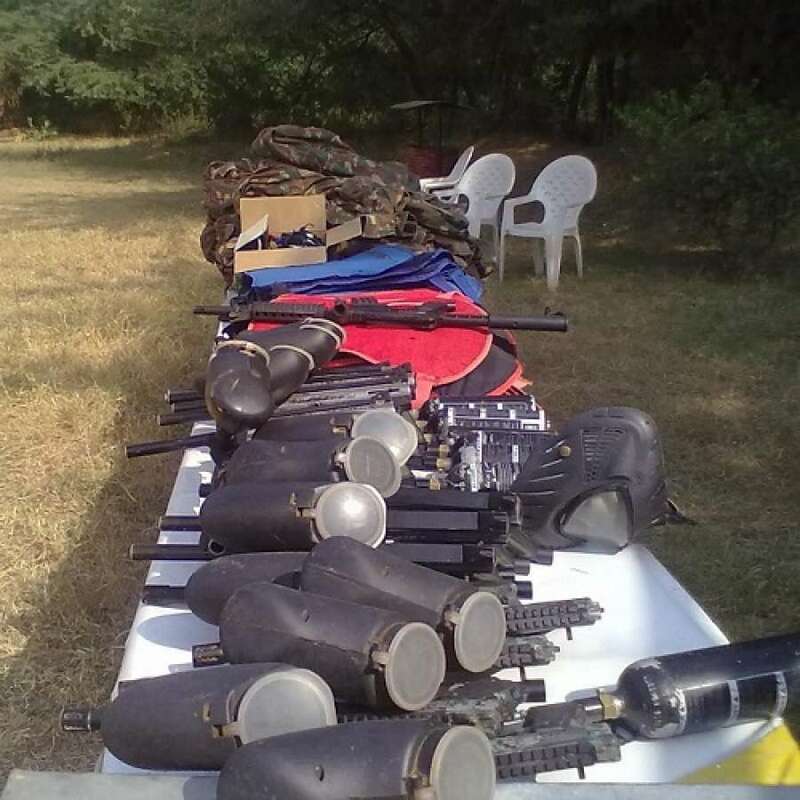 * Prices include rental of all equipment and gear – Markers, C02 gas tanks, Paintball pellets, Overalls, chest guards, face masks, gloves, and field rental. * All games are conducted under the supervision of trained Marshals and Instructors. Tournaments can be arranged based on client’s requirement. Tournament is priced @ Rs 850/- person. The most popular format amongst Corporate groups, where multiple rounds of gaming is played, with the winning teams moving one level up each time, and finally having Champions at the end of the session. Customized tournament formats can be made depending on Corporate requirements. Pl send in your requirements and we will revert with a complete package.